Last week I fulminated about the calamitous effects of the feminization of the schools, of turning the school into an emotional infantile crèche aimed at the fundamentally female goals of psychological conditioning, conformity, and totalitarian niceness. A lot of mail arrived, pro and con. Since schooling is of importance to the US, perhaps it is worth looking at. Predictably, I was accused of hating women. Actually it is not women that I find objectionable, but American women, who are a small part of the world’s women. 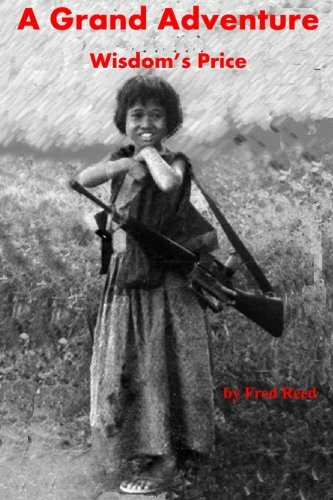 A Grand Adventure: Wis... Fred Reed Check Amazon for Pricing. My saying “American women” is of course a wild generalization subject to degrees, exceptions, and qualifications. A more sober statement would be something like this: There are enough American women overtly hostile to men, enough snarling feminists teaching semiliterate misandry in academic departs of sexism (Women’s Studies), enough little boys being drugged at female recommendation, enough repression of normal behavior of small boys by female teachers, enough bias against men in divorce courts, enough depiction of men as fools and knaves by females in the media, that it seems to me wise to avoid the species. I mean none of this to apply to women to whom it does not apply. Now, if I were the only one who thought the foregoing, I would dismiss myself as a crank expat living in Mexico. Among American men however there is a great deal of agreement if my personal experience, countless websites, and a lot of email are any indication. It matters, methinks, that so much very real ill will exists between so many men and women. Further, my objection was not to female teachers per se, but to the current crop of feminists who don´t like boys, or understand them, or want to, and are ruining them. All of my teachers in grade school, and perhaps half in high school, were women. They were fine. The reason was that they accepted the masculine view that schools existed to teach content. They did: first arithmetic and then math, and history, English grammar and composition, literature, Latin, and so on. Bless them. What I dislike is the feminized, therapeutic view of schools as places not to teach anything but to engage in Pavlovian conditioning of kids to female norms of syrupy goodness, non-violence (tag, dodge ball, and wrestling) docility, conformity, and warm interpersonal glop. Learning anything gets short shrift. An examination of the intellectual qualifications of teachers, such as rankings against those in other fields on the Graduate Record Exams, will show them to be at the bottom. These are averages, of course, and there are exceptions. Still, people of low voltage do not naturally have much interest in academics. 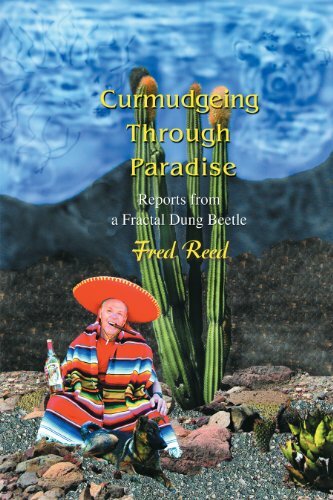 They easily become prey to a pedagogy focusing on “interpersonal relations.” Curmdugeing Through Pa... Fred Reed Check Amazon for Pricing. The effects show. Maybe fifteen years ago I went into a middle school in mostly white, moderately upscale Arlington, Virginia, and found on the wall a student´s project celebrating the contributions of Italians to science—specifically those of of Enrico Fermi to, so help me, “nucler physicts.” On the wall. Without correction. I have seen other examples. These malfeasances spring from favoring self-esteem (when I am dictator I will have anyone who uses that word hanged) over knowledge. It is not a masculine approach. Nor will it produce the thoughtful, intellectually competent citizenry the country desperately needs. Something strange is happening in the United States. A Canadian friend recently said, “I can remember when Americans weren’t afraid of everything.” Just so. Don´t run on the playground because you might fall. Don´t roughhouse because you might get a bruise. Don’t go outside at high noon because you might get skin cancer. Don’t swim after eating, because you might get a cramp. If a child draws a soldier, call a SWAT team because he is a murderous psychopath. Don’t ride a bicycle without a helmet. Fill in the deep end of the pool because someone might drown. Supervise everything. Control everything. Fear everything. If these are not the neurotic fears of women and capons, please tell me what they are. Such run the schools. They make policy. Is everything so dangerous? In my first eighteen years, three kids I knew died—one in kindergarten of appendicitis and two in high school, one of cancer and the other a suicide, probably because of hideous sebaceous acne over most of his body. Deaths by dodge ball: 0. By falling down while running: 0. By murderous seven-year-old psychopaths: 0. Yes, I realize that the schools face many other problems, chief among them that much of the country no longer takes schooling seriously. Pious slogans like No Child Left Behind of course mean No Child Allowed Ahead. Discipline a child and his parents sue. Suspend serious troublemakers and you face charges of racial profiling. Disguising the gap in performance between ethnicities takes precedence of teaching. The stupidest fad is grading teachers on how well their students test, it being impossible to get a class of unintelligent, misbehaving, culturally uninterested students to perform well. 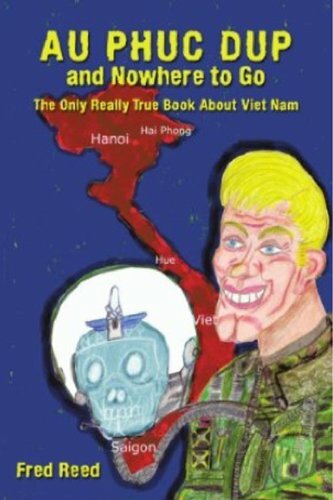 Au Phuc Dup and Nowher... Fred Reed Check Amazon for Pricing. I wonder whether I and some of my correspondents are not talking past each other. Being in my late sixties, I remember a world that any but the most antediluvian of current teachers cannot. It may be that therapy, drugging, and fear of everything have been around so long now that they are thought normal. Maybe even the idea of schooling as I knew it no longer exists except among ancients. “Nucler physicts”? No teacher in my sixth-grade school (Athens, Alabama) would have tolerated that for a moment. I suppose, though, that if I objected to illiterate spelling today, I would be told of the danger to the child´s self-esteem. When my daughters were in high-school some fifteen years ago, a history teacher (I think it was) was warned to stop correcting her students´ grammar: That was for the English teacher to do. When I noticed that their science handouts had common chemical terms badly misspelled, I contemplated going to the school and asking why the hell they had teachers of such surpassing incompetence. Sand against the tide. It would have been racist, and my daughter would have paid the price. And when my eldest graduated, all of the academic awards went to girls. Since girls have always been diligent and made good grades, it follows that either boys have become less intelligent, or that they have been pushed under by a hostile feminocracy. I am not imagining this. It is documentable. There will be a price for this.